My neighbor recommended this dish, mainly because we’re both busy moms and this dish is insanely easy to prepare, bursting with flavor and kid-friendly. 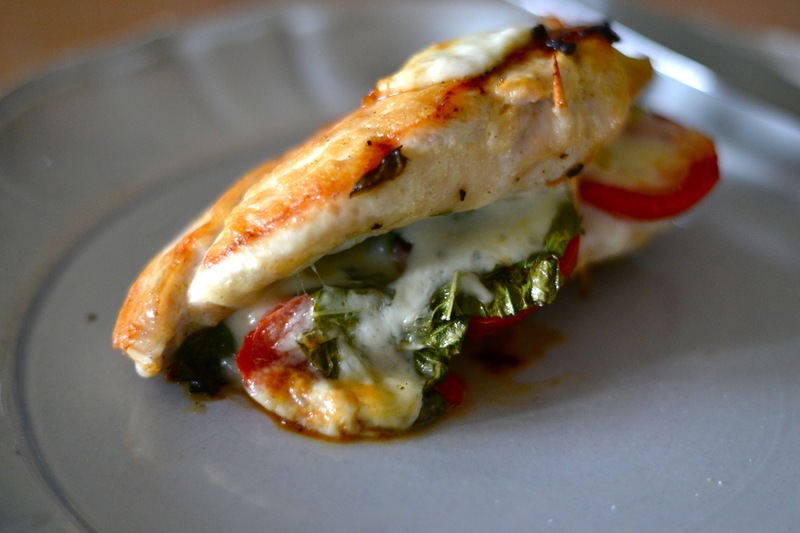 I wanted to call it “My neighbor’s tomato basil chicken,” but that just seemed like a mouthful. 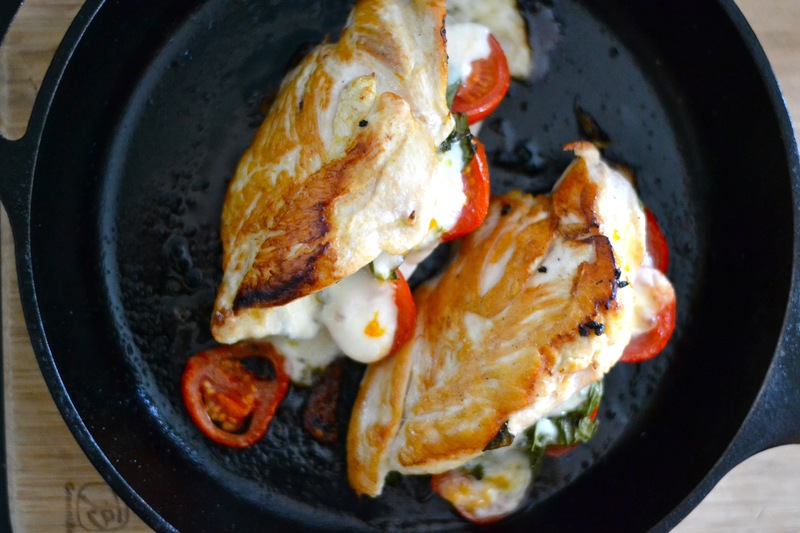 It’s similar to my Caprese chicken recipe, but even easier to make, and juicier if you’re using chicken thighs instead of breasts. This dish takes about 5 minutes to prepare, and approximately 30 to cook. Last week, I served it to the kids over a little gluten-free quinoa pasta (which they loved), and ate it myself over a bed of arugula. I ate the leftovers the next day, and the dish was even tastier. I think that’s simply because the flavors had longer to soak in and blend. In fact, my neighbor says she regularly makes this dish in the morning, cooks it most of the way, places it in the fridge and simply reheats it just before supper. *Note: If your family eats more than 1 lb of chicken for dinner, simply up all the amounts accordingly. You needn’t worry about being terribly precise. 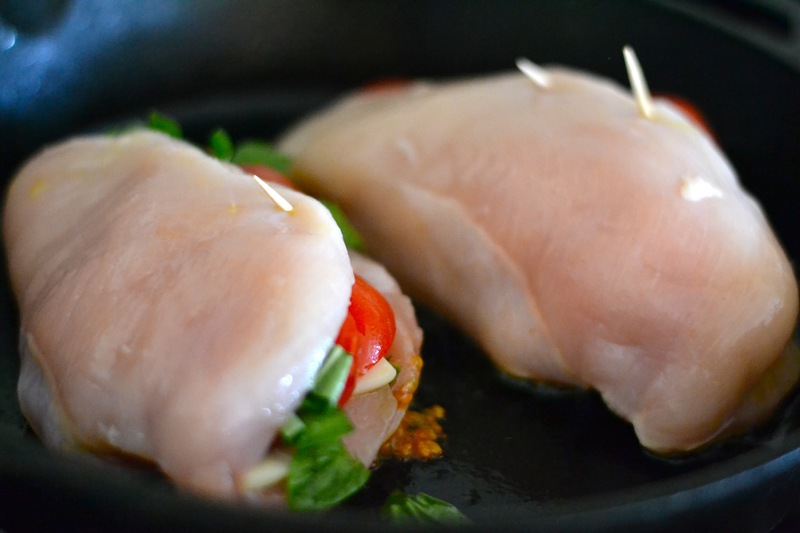 You can also use bone-in, skin on thighs, but you will need to adjust the cooking time accordingly, and you’ll want to crisp the skin at the end (using the broiler). Drizzle a little olive oil in a baking dish (whatever size dish accommodates your meat so that the pieces fit snugly without overlapping). Lay down the chicken pieces. 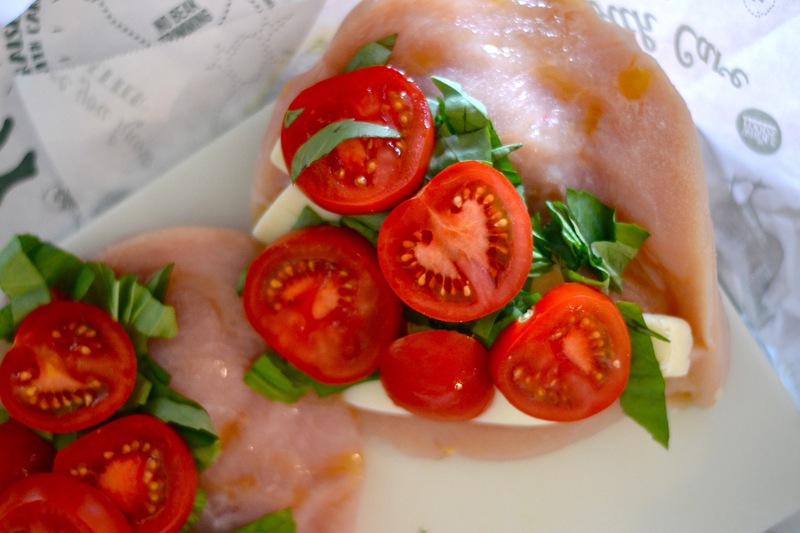 Sprinkle the cut tomatoes, torn basil and garlic over the chicken. Drizzle with more oil and season with salt and pepper. Cover with foil and cook for 25-30 minutes or until the meat is just cooked through. 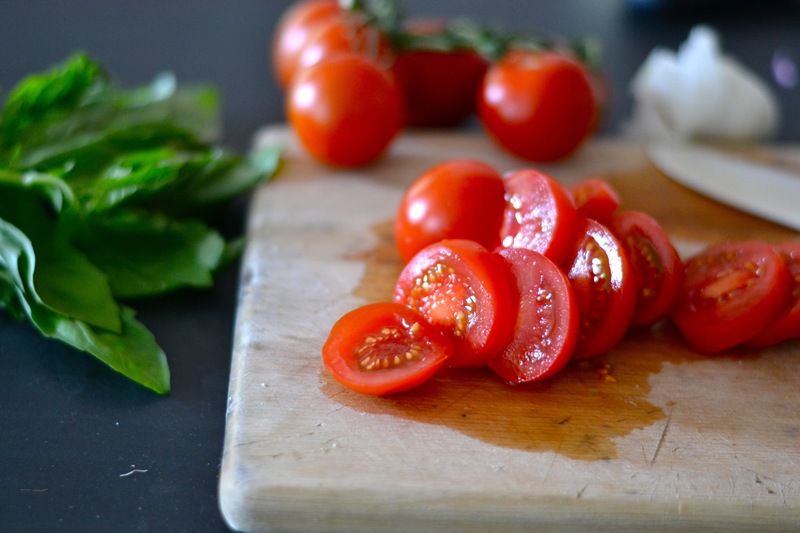 Serve immediately over rice, pasta or another grain or greens if you’re Paleo or just looking for extra nutrition.